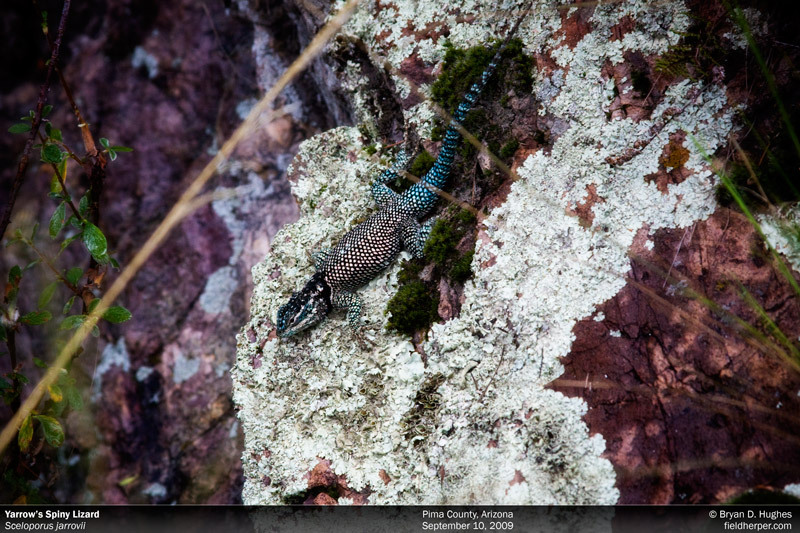 These Yarrow’s spiny lizards are the most common lizards you’ll see in the mountain ranges of South Eastern Arizona, and also one of the most beautiful. Their metallic scales can have such a high contrast between the blues and pinks and black base color that they look like pixels. They’re usually the first reptile I see when I’m starting a trip down there, and I usually photograph the first one. In this case, it was the last of the trip. This entry was posted on Tuesday, April 22nd, 2014 at 10:10 am	and is filed under Field Trips, Lizards. You can follow any responses to this entry through the RSS 2.0 feed. You can leave a response, or trackback from your own site.